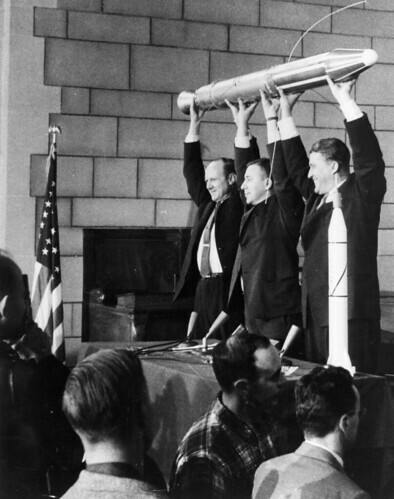 Photo Caption: A model of Explorer 1, held by JPL’s Director William Pickering, scientist James Van Allen and rocket pioneer Wernher von Braun (from left to right). The team was gathered at a news conference at the National Academy of Sciences in Washington, D.C., to announce the satellite’s successful launch. America’s first satellite, Explorer 1 had launched a few hours before, on Jan. 31, 1958. Using the same style and software used to power Wikipedia, satellitewiki.com, satellitewiki.com lets visitors explore the history of man-made satellites, definitions of satellite terms and learn about how satellites impact a wide range of industries from oil and gas to television…. From the first U.S. satellite’s bleep in 1958 to modern satellites with their own neighborhoods, users exploring the wiki can find interesting facts, download imagery and discover how satellites work. With input from other users and readers, information can be updated, changed and added, as well. Want to know the difference between ‘carrier frequency’ and “geostationary transfer orbit”? Or when the best time to look up in the night sky to see a satellite passing over your neighborhood? Log on at satellitewiki.com. As BusinessWeek reported last spring, many corporate wikis are going viral. Both Nokia and investment bank Dresdner Kleinwort, for example, have successfully used wikis to collaborate on solving specific product-design problems and as alternatives to e-mail and collaborative software. In the first two weeks after the campaign broke in late August, more than 220,000 visitors clicked through to a microsite for small and midsize businesses, and the HP Community wiki recorded more than 1,400 visitors. Other Web-based printing activities are being added, and the marketing campaign will continue to evolve, based on the feedback HP receives from customers via the wiki. The current initiative isn’t just an advertising tactic but a marketing strategy designed to reinforce the brand’s relevance in a changing world. In marketing, how many people wikis reach may be less important than who is reached. As Ross Mayfield puts it, "It’s no longer about impressions you make but who you impress." But wikis, once they hit a critical mass, can be just plain fun. Equotes, for example, has some good quotes from all sorts of luminaries, including Neil Armstrong. There’s a SpaceWiki for astronomy buffs. And feel free to add your own insights and knowledge of the satcom industry at our new satellitewiki.com. Or, you can start your own free wiki here. 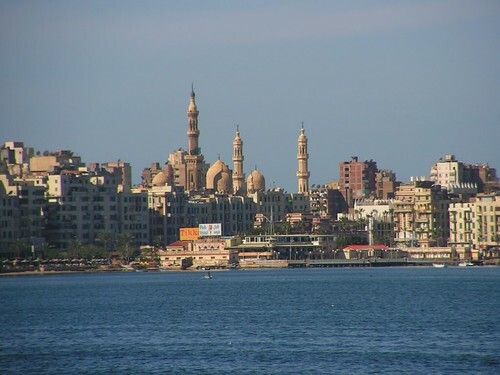 Egypt’s Telecommunications Ministry said a communications cable in the Mediterranean was cut, disrupting 70 percent of the country’s Internet network. The ministry said in a statement it was not known how the cable was cut but that services would probably take several days to return to normal. India reported serious disruptions to its services and one Indian Internet service provider linked the problem to the Egyptian outage. Our friends at SES NEW SKIES probably had their phones ringing off the hook yesterday. Best remedy for fiber cuts is a satcom backup. That’s the "secret sauce" in a well-run network. 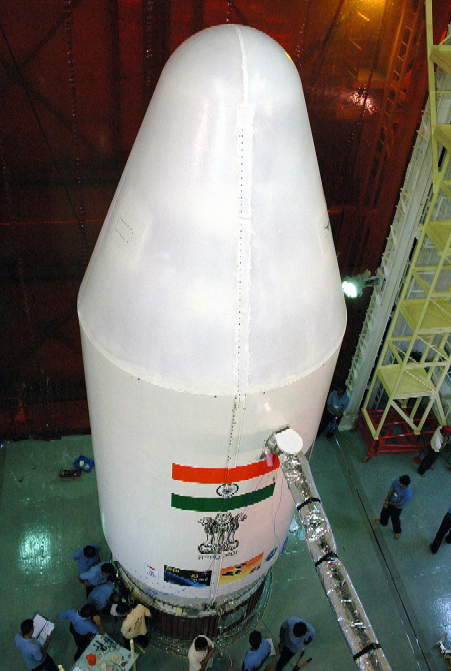 Antrix hopes to bag around three commercial launch contracts for PSLV in 2009. To be a major player in the launch market, Antrix is also planning a slew of measures. These include a three-stage PSLV to ferry 500 kg satellites for low earth orbit, a new 229-tonne ‘core alone’ configuration that can carry 1,100 kg satellites into SSO, and a vehicle to carry 1,900 kg satellites in SSO by increasing the fuel in stage two and improving the thrust power. ‘We can also look at the potential of our other rocket, Geosynchronous Launch Vehicle (GSLV), only in its Mark III version,’ Murthi said. K.R. Sridhara Murthi, Managing Director, Antrix, said that for putting Tecsar into its difficult orbit, they had “charged quite a lot above” the international rate of $15,000 to $20,000 a kg. During launches in January, April and September 2007, from Sriharikota, and also during the International Astronautical Congress in Hyderabad in September 2007, ISRO top brass had dodged questions on whether ISRO was planning to launch any Israeli satellite. As per the original plan, the core-alone PSLV that was to launch Tecsar in September 2007 had been assembled, and the satellite had reached SHAR from Israel and undergone tests. But the launch was postponed. So ISRO dismantled the vehicle and the Israelis bottled up the satellite. In the first week of December 2007, newspapers and television channels went to town saying that ISRO had “abandoned” the launch of Tecsar under pressure from the United States, which did not want ISRO to get a slice of the launch market. Informed ISRO officials, however, said there was pressure from the Gulf countries on India to call off the launch of the Israeli satellite, and so the Ministry of External Affairs wanted ISRO to bide its time. Madhavan Nair denied any such pressure from the Gulf countries. The lift-off was to take place in September 2007, but certain “technical issues” [with the satellite] forced the postponement of the launch, then the monsoon intervened. The launch took place in January after the monsoon, he said. According to the ISRO Chairman, Israel did not want any publicity until the launch was successful. First results from a new NASA-funded scientific instrument at the W. M. Keck Observatory at Mauna Kea, Hawaii, are helping scientists overturn long-standing assumptions about powerful explosions called novae and have produced specific information about one nearby nova. 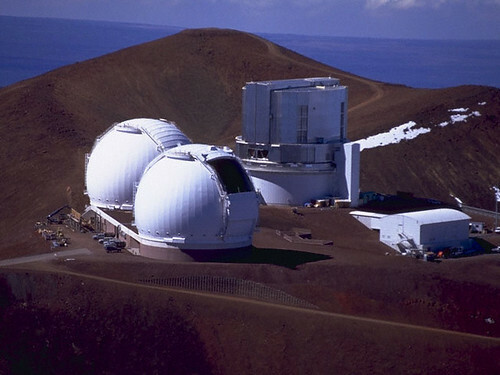 This sophisticated new system, called the Keck Interferometer, combines the observing power of the two 10-meter (33 feet) Keck telescopes into a single mega-telescope. Using the interferometer’s "nulling" mode, data were taken by the Keck Interferometer team on a nearby nova called RS Ophiuchi. In "nulling" mode, the Keck Interferometer suppresses the blinding light of a star so researchers can study the surrounding environment. The instrument helps them observe very faint objects near bright sources and produces 10 times more resolving power than a single Keck telescope working alone. It is the only instrument of its kind in operation. The nulling mode was developed to search for dust regions around nearby stars, where planets might be forming, but the bright starlight poses a great challenge. "Because a star is so much brighter than the dust, something has to block the light, which is what the nuller does," said Rachel L. Akeson, Keck Interferometer project scientist at the California Institute of Technology’s Michelson Science Center. "This technique turns out to be useful for lots of other kinds of objects, including this one, where dust is near a star that just went nova." These nova data were taken by a team led by Wes Traub of NASA’s Jet Propulsion Laboratory, Pasadena, Calif., and the data analysis and unified model for the nova were produced by a team led by Richard Barry and William Danchi of the Goddard Space Flight Center, Greenbelt, Md. The star in the constellation Ophiuchus went nova at the perfect time for the team, on Feb. 12, 2006. "We were extremely lucky, because we had astronomers in place at two mountain-top interferometers, Keck in Hawaii and Infrared Optical Telescope Array in Arizona. Within minutes of hearing about the discovery of the nova, we alerted both teams to start observing it that night," said Traub, a senior research scientist at JPL. The nova system, known as RS Oph consists of a white dwarf and a red giant. The red giant is gradually shedding its massive gaseous outer layers, and the white dwarf is sweeping up much of this wind, growing in mass over time. As the matter builds up on the white dwarf’s surface, it eventually reaches a critical temperature that ignites a thermonuclear explosion that causes the system to brighten 600-fold. RS Oph was previously observed blowing its stack in 1898, 1933, 1958, 1967 and 1985, so astronomers were eagerly anticipating the 2006 eruption. About three-and-a-half days after the nova was detected, the group observed the explosion with the Keck nuller. They set the instrument to cancel the nova’s light, allowing them to see the much fainter surrounding material, and then the extremely bright blast zone. The instrument’s versatility was key to a surprising discovery. The nuller saw no dust in the bright zone, presumably because the nova’s blast wave vaporized dust particles. But farther from the white dwarf, at distances starting around 20 times the Earth-sun distance, the nuller recorded the spectral chemical signature of silicate dust. The blast wave had not yet reached this zone, so the dust must have pre-dated the explosion. "This flies in the face of what we expected. Astronomers had previously thought that nova explosions actually create dust," said Richard Barry of Goddard, lead author of the paper on the observations that will appear in the Astrophysical Journal. The team thinks the dust is created as the white dwarf plows through the red giant’s wind, creating a pinwheel pattern of higher-density regions that is reminiscent of galaxy spiral arms. Inside these arms, atoms become cool enough and dense enough to allow atoms to stick together to form dust particles. The nova’s blast wave has since destroyed RS Oph’s pinwheel pattern, but it should re-form over the next few years, and future observations by NASA’s Spitzer Space Telescope could see it. Barry is also coauthor of a paper based on Spitzer observations of RS Oph. Most studies of RS Oph have relied on spectroscopic models, which have not been able to distinguish various nova components with as much detail as the interferometer. The Keck nuller measured one component of the RS Oph system to an accuracy of just 4 milliarcseconds, or about the size of a basketball seen 7,500 miles away. Credit Crisis Threatening Intelsat Deal? The current credit crisis isn’t just hitting the housing market. Last June, BC Partners agreed to buy satellite operator Intelsat. Now, BC Partners is requesting an "unusual" exception, asking "existing lenders to finance the purchase instead of selling a new financing in the open market." The current credit conditions make it very difficult to sell loans. If Credit Suisse’s proposal is accepted, it would be relieved of the task of refinancing the bank loans for Intelsat and PanAmSat. New financing would still be required to finance the purchase, but the amount needed would be much smaller than the $5.1 billion commitment, as lenders would have agreed to roll the existing credit agreement into the new company. The terms of Credit Suisse’s proposal are unusual in that the bank is asking lenders to loosen the definition of a "change of control" clause in the existing credit agreement. Usually, this clause will trigger a repayment of bank debt, but under the current proposal, a change of control would not be triggered. Intelsat, a global satellite network set up in 1965 by the national telecom operators of several Western countries, is being sold by a group of four buyout funds. Apax Partners, Permira, Apollo Management and Madison Dearborn Partners bought the company for about $3.1 billion in 2004. They added PanAmSat, a rival operator, for $3.2 billion in 2005. Intelsat, based in Washington, operates 51 satellites used by cable companies, broadcast networks and governments for distributing video programming. It leases capacity to television companies rather than providing content itself. The company has about 35 per cent global market share and last year reported $1.7 billion in revenues and adjusted earnings of $1.3 billion. Just under half its business is in North America, with 15 per cent of profits driven by Europe and 17 per cent from the Middle East and Africa. BC Partners, the international private equity group have today said they are anticipating returns in excess of 20% on the group’s sub-prime linked investment portfolio, despite the ongoing unrest in the global credit marketplace, according to a top executive today. Stefan Zuschke of the group’s German operation said that the group was still looking forward to returns of as much as a fifth from its portfolio, despite the collapse of the sub-prime sector which left many banks and investment firms heavily out of pocket and forced to take severe writedowns against their balance sheets. Whilst it was said that the credit crunch made for difficult times for investment firms, given increasing reluctance from banks to put up the cash for acquisitions and buy-outs at the same rate as before, he added that 2008 would see a return to the previous levels of spending and somewhere in the region of the same level of market confidence and optimism. Note: You’re going to have to read through to the end to understand how the picture above relates to the headline of this post. ViaSat has executed a contract with Space Systems/Loral, a subsidiary of Loral Space & Communications, to build ViaSat-1, which is expected to be the world’s highest capacity broadband satellite…..
ViaSat-1, with a launch planned for early 2011, involves a collaborative effort with top satellite broadband leaders in the market including Loral, Telesat, and Eutelsat. Loral is investing in the Canadian coverage portion of the satellite in anticipation of Telesat using this capacity for the provision of broadband services throughout Canada. 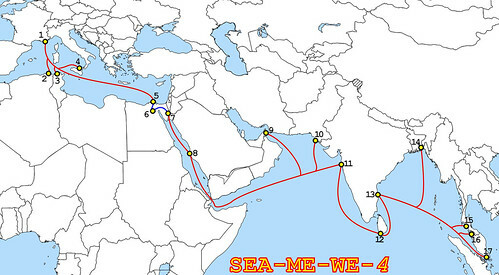 The satellite is planned for the Telesat 115 West longitude orbital slot as part of the agreement. Telesat will provide telemetry, tracking & control (TT&C) operations for the satellite. Some industry observers have proposed a linkup between Telesat and Eutelsat, the third largest communications satellite operator. Will it happen? Who can say? As Goldberg points out, however, 2008 is likely to be a breakout year for satellite broadband, and such rapidly growing markets tend to transform the market players. In other Telesat news, "Lockheed Martin has announced that it will be farming out $175-million-worth of work to Ontario companies in connection with the federal government’s purchase of its Super Hercules aircraft…. "Telesat Canada would be one of the Ontario companies set to benefit from the commitments to the region, with Lockheed Martin using Telesat’s WAAS GCCS Signals in Space services," according to the Ottawa Business Journal (and thus explaining the picture above). The scenario is playing out for our neighbor to the North: Canada’s largest space contractor, MacDonald, Dettwiler and Associates Ltd., announced it was selling all of its space operations to Alliant Techsystems Inc. (ATK) of Edina, Minnesota, for $1.3 billion; and the president of the Canadian Space Agency (and the former CEO of Telesat), Laurier Boisvert, resigned after just nine months on the job. Ouch. Gordon Johndroe, a spokesman for the U.S. National Security Council, said appropriate government agencies are monitoring the situation. "Numerous satellites over the years have come out of orbit and fallen harmlessly," he said. "We are looking at potential options to mitigate any possible damage this satellite may cause." It’s unknown whether the U.S. may attempt to destroy the spy satellite before it re-enters the atmosphere. "It’s not all that easy," said Atwood. "You’re not going to shoot it down, you’re just going to explode it into a million pieces that are ultimately going to fall on the Earth." An anonymous government source told AP that the satellite contains a rocket fuel called hydrazine, which is a toxic chemical and can be harmful to anyone exposed to it. 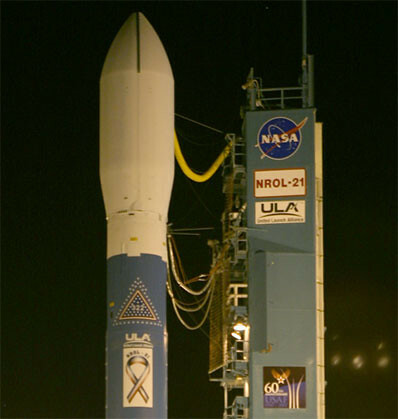 NROL 21 is the cover-name for one-off classified satellite. Although nothing is known about the mission, the orbit hints for an experimental radar reconnaisance satellite. A few weeks after launch reports emerged, that grond stations were unable to communicate with an expensive experimental U.S. spy satellite launched last year by the U.S. National Reconnaissance Office (NRO). 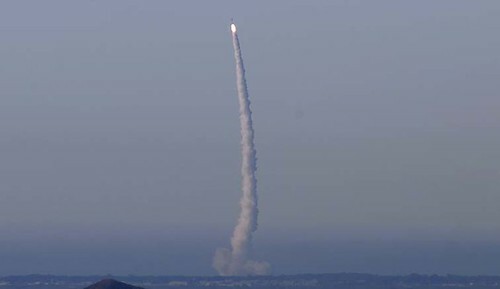 Efforts were said to be continuing to reestablish communication with the classified satellite, which cost hundreds of millions of dollars, but "the prognosis is not great at this point," said the defense official, who asked not to be identified.The official said the problems were substantial and involved multiple systems, adding that U.S. officials were working to reestablish contact with the satellite because of the importance of the new technology it was meant to test and demonstrate. An other source said the satellite had been described to him as "a comprehensive failure." In August 2007 the satellite has been declared a complete loss and will be allowed to decay from orbit. The Sky is Failling!! !….well, part of it anyways…. WASHINGTON – A large U.S. spy satellite has lost power and could hit the Earth in late February or March, government officials said Saturday. Everyone is talking about the iPod – music, web browser, email, and phone all in one device. What else would you need? But when I get home from a long day of rocket science, I wanna lay on my couch and watch a 32 inch plasma, not stare at a 3 inch cell-phone. That said, we don’t have to resign ourselves to the past. Consider a Home Theater PC system. The benefits are numerous: storage scalability, superior DVD playback, and easy content cataloging. Microsoft is getting into the game. Vista’s Windows Media Center lets you view slide shows set to music, browse music by cover art (blatantly copied from Apple), and, with a TV tuner, utilize Microsoft’s tivo-like features (rewind live tv and schedule recordings). But to capably take advantage of all of these features (including HD), you’re going to need a pretty powerful PC. You’re probably going to want 2 gb of RAM and a ton of hard drive space (400G gets you about 88 hours of HD recording). For a reasonably priced and very effective system, check out the Gigabyte H971 entertainment PC. Without breaking a sweat, MythTV meets our specifications for a HTPC. Using a TV tuner card, MythTV can pause and rewind live television, schedule recordings, and excise commercials during playback. 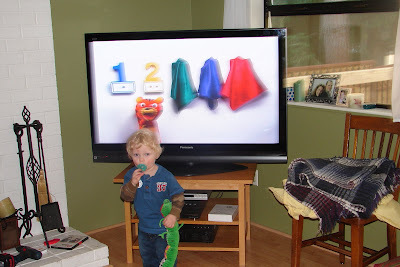 If you intend to record multiple shows at once or watch another channel while something is recording in the background, you’ll need a second TV tuner card – which MythTV will handily support. You’ll get picture-in-picture that way, too. Much of MythTV’s functionality is provided by plugins. Most of the modules discussed here are "official" add-ons and will be included with MythTV by default, depending upon who packaged your installation.